Hauled from Urbantouch. They currently have an offer going on: On each prepaid order you get a Vedic Line Honey and Fig moisturizer (50 ml) for free. After my good experience with the Vedic Line Sandalwood and Turmeric Face Wash (review here), I have been wanting to try more from this brand. 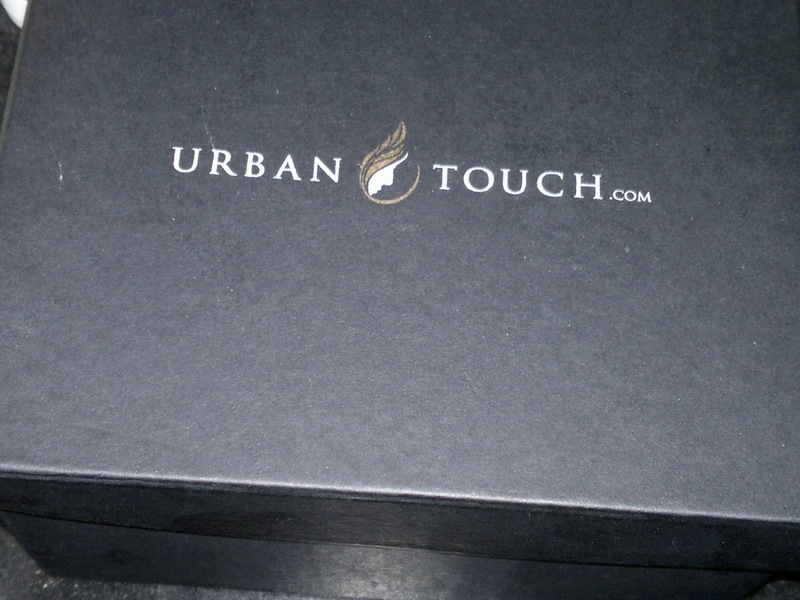 So, I ordered a few items from Urbantouch on Thursday and they delivered within a day (got the order on Friday). 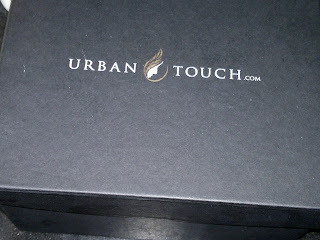 As usual, UrbanTouch delivered all the stuff in a nice cardboard box, each item separately bubble wrapped. Love those boxes!!! 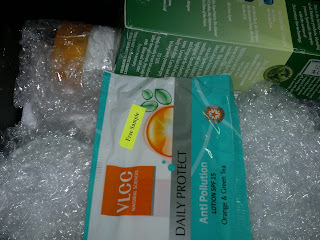 Moreover, they delivered within a day (I had ordered on Thursday, got the order on Friday). 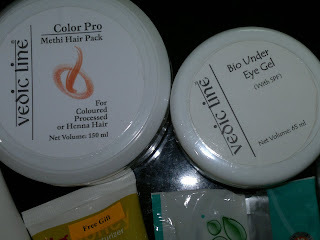 These are the items I ordered: Biotique Fresh Texture Shampoo & Conditioner with Color - Bio Henna Leaf, Vedic Line Bio Under Eye Gel with SPF, Dove Face Wash - Go Fresh (100g), Vedic Line Methi Hair Pack - Color Pro, and I got the Vedic Line Moisturizer free, free, free... Always love getting free stuff. There was a VLCC daily protect lotion (orange and green tea) sample as well. 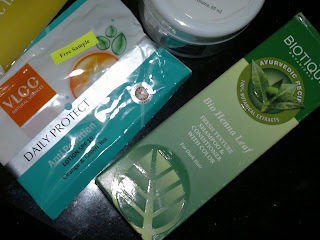 Would be reviewing each product in detail in the coming weeks. 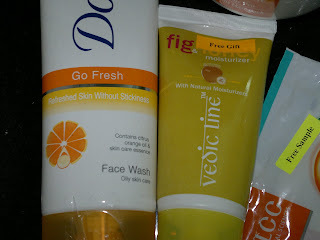 Hope you enjoyed my haul as much as I did!! !